Doing Business in the U.S.A.
USTaxCentral Australia provides professional cross border tax solutions between the US and Australia for businesses, U.S. expatriates living abroad and U.S. property investors. Tax law is complex. USTaxCentral Australia is an cross border tax firm dealing with issues between the U.S. and Australia. We assist businesses and individuals understand their tax obligations in the U.S. or Australia. 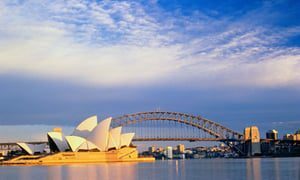 Being a U.S. expat living in Australia comes with its challenges as you will have tax responsibilities both in the U.S. and Australia. Our goal goes beyond just preparing your tax returns. We also help you comply with your tax obligations in the U.S. and Australia through proactive tax planning. Our services are tailor-made for your benefit. The United States presents great business opportunities. However, doing business in the United States can be challenging. The cross-border complications between the U.S. and Australia require expert assistance. Direct U.S. property investments present wealth-building opportunities. However, choosing the right investment strategy matters and this is where we step in assisting you with both tax planning and compliance. If you are behind with your taxes, the IRS has a tax amnesty which allows delinquent taxpayers living abroad an opportunity to avoid the penalties and fees by coming into compliance. Australia is a great place to live. However, if you earn money in Australia, you will have to pay tax and need to lodge an income tax return. Navigating the cross-border challenges between the U.S. and Australia is what we do for you. Going to the U.S. is exciting. However, it comes with its challenges as more workers must wade through the intricacies of cross-border taxation. The United States has a complex system of federal, state, and local levels of taxation. It requires careful navigation. More Americans living outside the U.S. have been considering expatriation. We are neutral on whether one should expatriate or not. However, we can assist you navigate this life changing process. Being a tax resident of both the U.S. and Australia, brings up double taxation risks and tax timing issues. We assist our U.S. expat population navigate cross border issues in both counties.